This DVD takes you through all aspects of shooting video with the Canon 7D in video mode but everything is applicable to the 5DmkII too. Presented by D-SLR video Pioneer Philip Bloom this is a comprehensive �how to shoot� DVD for film makers and photographers serious about using this powerful tool in video mode. 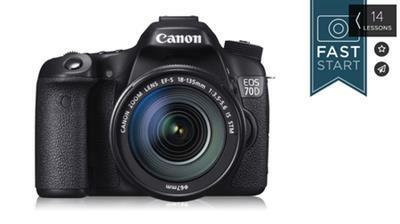 Ready to make the most of your Canon® 70D? 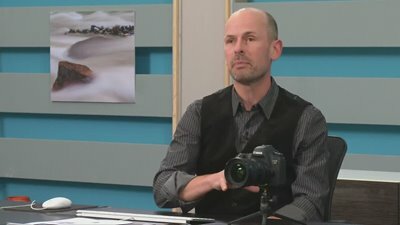 Join expert photographer John Greengo for a fast-track introduction to taking full advantage of your camera's features. John will cover how to navigate and set up your camera's menus and guide you through its buttons, dials, and features. You'll learn how to take full advantage of your camera's super-fast live view focusing. You'll also learn how to optimize your camera for sports and other high-motion photography. John will also cover the power of your camera's high-resolution sensors and settings and help you get them attuned to your shooting style so you get the picture you want, every time. 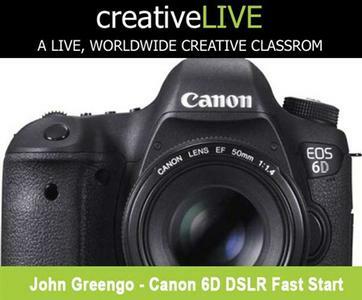 ]Take this Canon 6D tutorial with John Greengo, and you'll learn everything you need to know about the camera! In this photography tutorial, he provides hands-on introduction to your Canon® 6D camera's operations, detailed instructions on how all the menus work, and instruction on how to shoot great photos with this specific Canon camera model. Take this Canon® 6D tutorial with John Greengo, and you'll learn everything you need to know about the camera! In this photography tutorial, he provides hands-on introduction to your Canon® 6D camera's operations, detailed instructions on how all the menus work, and instruction on how to shoot great photos with this specific Canon® camera model.